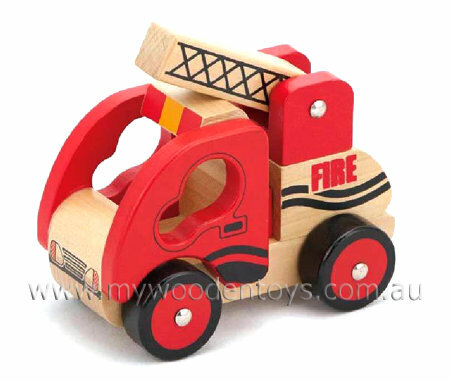 Fire Engine Emergency Vehicle is a great little wooden fire truck with a movable ladder. The wheels are attached with metal axles so they are nice and strong. This little truck is rated for 18 months plus. A lovely wooden toy which will spark the imagination of any little fire chief. We like this because: "Simple sweet and well made, excellent value."